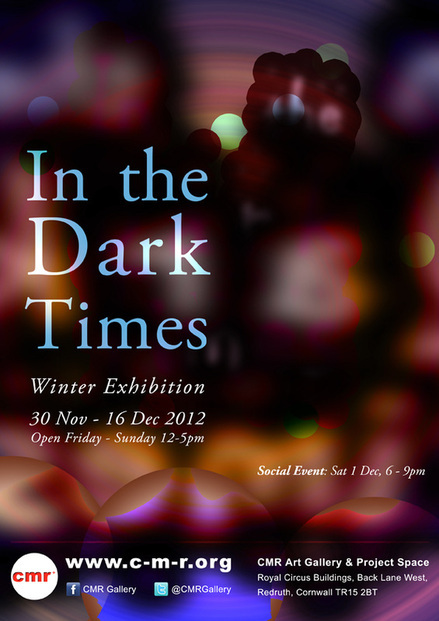 After opening its doors in March of this year, Redruth based Contemporary Art initiative CMR is proud to present its sixth show In the Dark Times which is their first solely members only show featuring a selection of some of the now 30 plus members and opens at the Redruth venue on Friday 30 November. As it’s almost impossible to not respond to the time of year in one way or another, In the Dark Times will see CMR become a haven away from the hustle and bustle of the high street and a potential antidote to the (for many) vulgar commercialism of Christmas with a show that digs deeper than the surface of kitsch fairy lights and tinsel and delves into the darker themes of Christmas past, the rituals of winter solstice and traces Christmas back to its mythical roots creating a show of wonder and surprise that is much more than just another Christmas exhibition. In the Dark Times is also a celebration of the success of CMR’s first six months of exhibiting adventurous work that not only responds to the buildings physical spaces but that’s also flexible in its attitude towards mixing and crossing forms in presenting a thought provoking, exciting and engaging shows. Throughout the duration of the exhibition there will also be talks and workshops available such as a mask making project with Sara Bowler.